Nova Jiang creates work that encourages the tactile and creative participation of the audience, resulting in structurally open systems in which joy, disorder and improvisation can thrive. She holds a MFA from the University of California, Los Angeles. 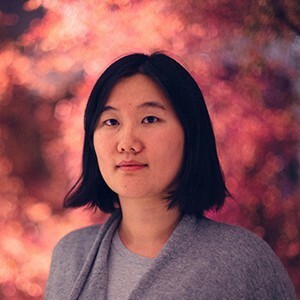 She has had recent exhibitions at the Centre Pompidou, Paris; National Taiwan Museum of Fine Arts, Taichung; ICC, Tokyo; Ars Electronica, Linz; Media City Seoul Biennial, Seoul; 01SJ Biennial, San Jose; Sundance New Frontier, Park City among other venues. Nova is the recipient of Fellowships from Skowhegan, Eyebeam and Wave Hill. She has recently received major public art commissions from Westfield and the City of Cambridge, Massachusetts.